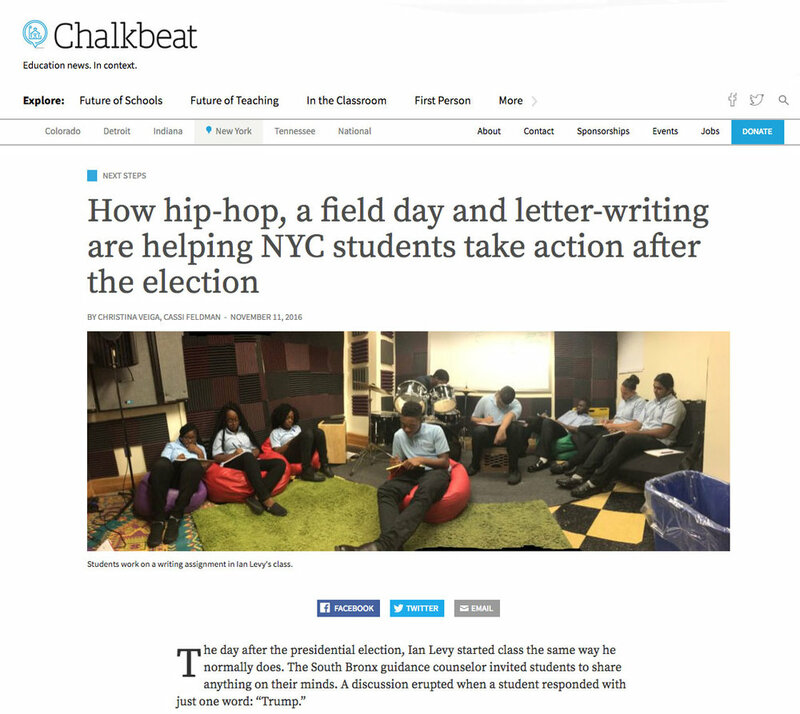 "After receiving a flood of worried text messages on election night, Camiscoli gave [IntegrateNYC Activists] the option to write a letter. 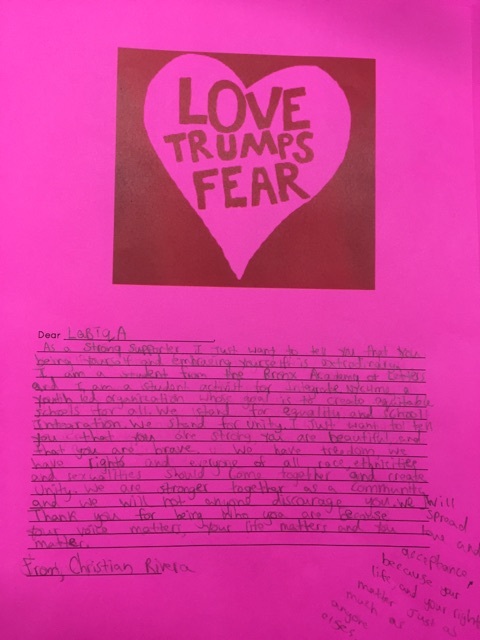 On brightly colored paper, each stamped with a heart and the words 'Love Trumps Fear,' she asked them to to send a message to any community that might need to hear something positive. "Rather than despair, the letters are full of encouragement. 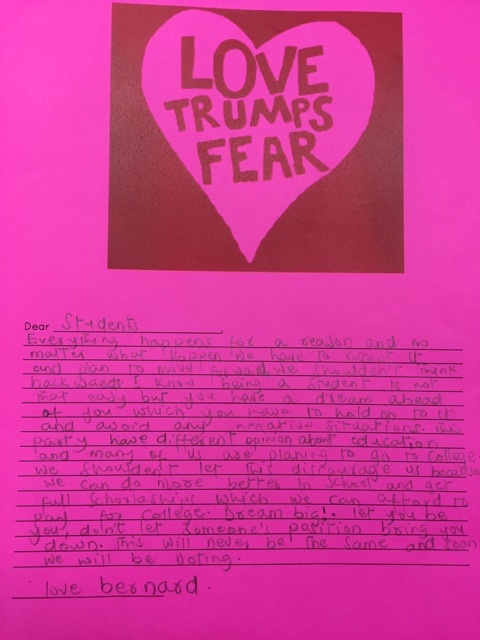 "Another letter, addressed to the LGBT community, says, 'I just want to tell you that you are strong, you are beautiful and that you are brave.'"